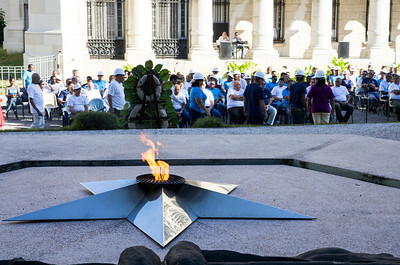 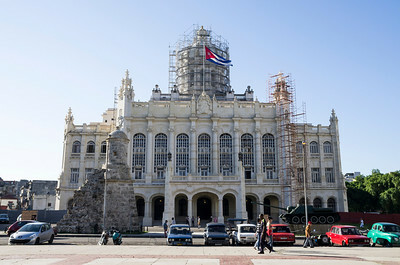 The Museo de la Revolución is housed in the former Presidential Palace, constructed between 1913 and 1920 and used by a string of cash-embezzling Cuban presidents, culminating in Fulgencio Batista. 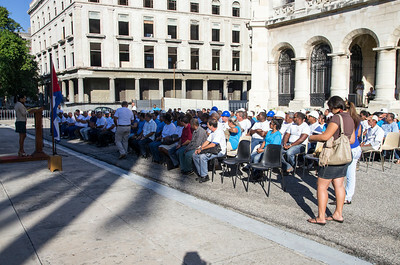 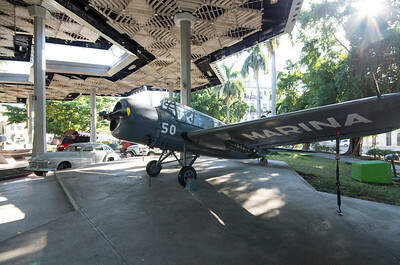 It was desgned by Cuban architect Mauri and Belgian architect Paul Belelu. 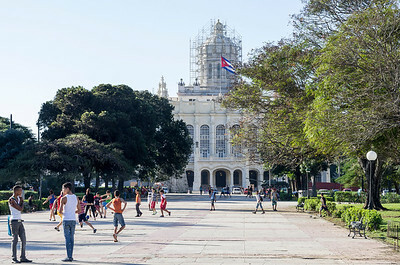 The world-famous Tiffany's of New York decorated the interior, and the shimmering Salón de los Espejos (Room of Mirrors) was designed to resemble the room of the same name at the Palace of Versailles. 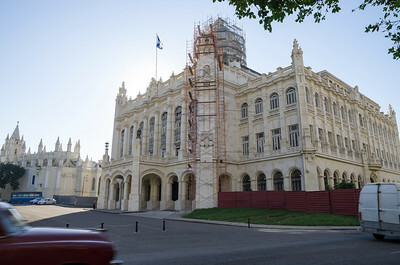 In March 1957 the palace was the target of an unsuccessful assassination attempt against Batista led by revolutionary student leader José Antonio Echeverría. 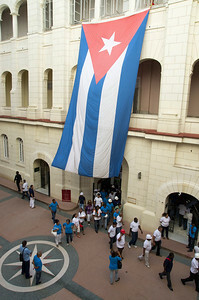 The museum itself descends chronologically from the top floor starting with Cuba's pre-Columbian culture and extending to the present-day socialist regime (very big propaganda). 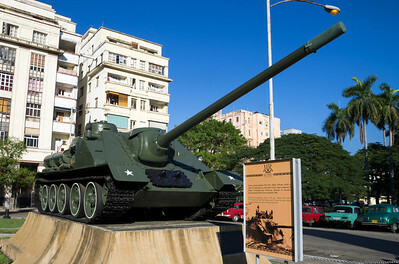 In front of the building is a fragment of the former city wall, as well as an SAU-100 tank used by Castro during the 1961 battle of the Bay of Pigs. 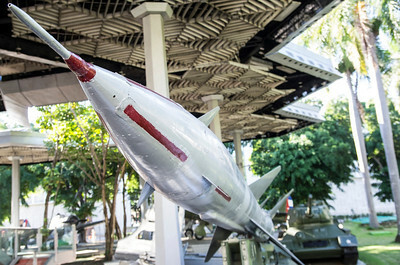 In the space behind the museum is the Pavillón Granma , a memorial to the 18m yacht that carried Fidel Castro and 81 other revolutionaries from Tuxpán, Mexico, to Cuba in December 1956. 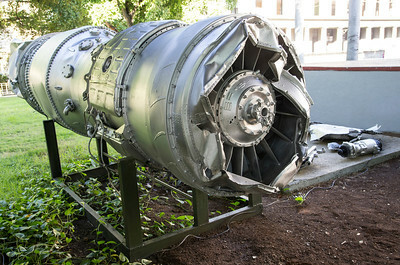 It's encased in glass and guarded 24 hours a day, presumably to stop anyone from breaking in and making off for Florida in it. 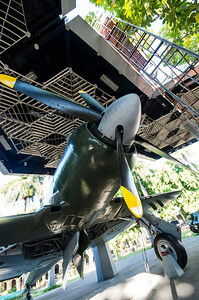 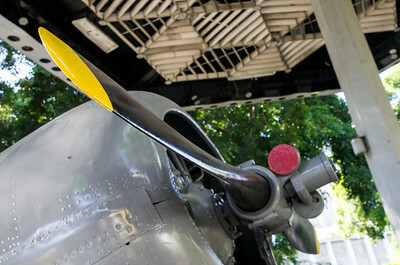 Thee pavilion is surrounded by other vehicles associated with the Revolution (for example SA-2 Guideline surface-to-air missile of the type that shot down a U.S. Lockheed U-2 spyplane during the Cuban Missile Crisis, and the engine of the U-2 airplane) and is accessible from the Museo de la Revolución.